When attempting to answer such questions one must always qualify answers with the incantation Ceteris Paribus (all things being equal). In other words, any conclusion reached is naturally subject to us not knowing what might happen next in economic or political terms. Events in the Ukraine indicate as much, and in an increasingly globalised world it needn’t happen on our doorstep to have an effect on us. That said, the world has become remarkably robust and resistant to geopolitical and other rumblings, allowing business to carry on as usual when confronted with ‘breaking news’ events that eventually ebb away. This certainly applies to Marbella, which has seen a tentative recovery that began in 2012 gather momentum through 2013 and into the present. What’s more, this recovery comes in the form of renewed interest in Marbella as a tourist and luxury residential destination, at a time when the economies of Europe are themselves only just beginning to emerge from the recession that has held us in its grip since 2008. It is this that prompts us to question whether we’re in a sustained recovery or a fragile one that could fade away again. As of spring 2014 there is no need to be coy about it: referring to figures going back a year or more, Marbella can state without ambiguity that it is growing again. Where that growth was tentative and in many cases unevenly spread in 2012, last year it gathered sufficient pace to be felt by a significant portion of the economically active in this region. The result has been a rising sense of optimism and confidence, which in itself encourages investment and the launching of new enterprises. As always, the key indicators in the regional economy are tourism and real estate, if not (yet) construction. After the initial post-2008 nosedive, tourism was the first sector on the Costa del Sol to record positive trends. Starting in 2011, it offered green shoots when visitor numbers began to rise again, initially approaching pre-recession levels, then equalling and now surpassing them. This past January is a case in point, officially registering the largest number of tourist arrivals ever to the Costa del Sol for this low-season month. His message is clear: If you focus on quality and value, the kind of visitor who comes to Marbella will respond positively. “This is indeed what we’re finding right now, and the prospects for 2014 continue to get better. I therefore believe that Marbella is back on the path to growth, but to be really successful we need to continue to improve our service, infrastructure, value for money and also to beautify this region and emphasise those things that make people come here.” Asked where the greatest future growth potential lies, he stresses the need to extend off-season flight connections so that Marbella can make the most of its enviable climate and reduce high/low season contrasts. The next vital sector to register growth was real estate, which began to turn a corner in 2012 and saw more consolidated advances over 2013 and into the new year. Domestically, the property market may still be largely depressed with prices that continue to drop, but so-called prime markets such as Mallorca, Ibiza, Barcelona, Madrid and Marbella are experiencing renewed demand. In Marbella, enquiries and sales transactions are up. The luxury segment was the first to recover, with prices in the best areas bottoming out earlier and demand reaching a sustained critical mass, but it is interesting to note that online home finder Kyero registered a surge in enquiries for cheaper properties. Last year 47 per cent of their enquiries were for homes under €150,000 compared with 36 per cent the year before – and eight per cent in 2008. “Perception may be behind reality now, as the actual amount of unsold and ‘distressed’ stock in the Marbella area is fast running out,” says Mark Stücklin of Spanish Property Insight. “Bank repossessions in this area are becoming rare, so the emphasis is gradually moving from cheap deals to quality and value. 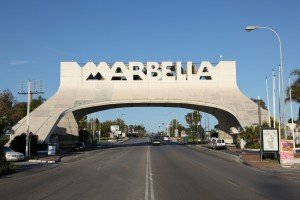 Overall price levels may be 30-40 per cent lower than at their peak in 2007, but they seem to have bottomed out in Marbella and in some luxury segments are already beginning to slowly rise.” Buyers can still bargain, but the margin between asking price and final sales price is beginning to narrow. Places like Marbella, Mallorca and Ibiza once again prove that a strong, desirable location wins out, and it is a pattern that is repeated within each of these regions themselves, where the most sought-after areas are at the vanguard of the recovery. Campbell Ferguson of Survey Spain confirms the increase in activity within the region’s property sector, and how this affects local businesses such as his own. “We are seeing substantially increased demand for pre-acquisition Building Condition Surveys, which confirms not only more potential buyers but also that they are approaching the process with due consideration,” says Campbell. Property sales are growing and interest is spreading outwards from the key Marbella areas, a process that is also resulting in early signs of construction activity. New projects in the area have been successful, and point towards a gradual resumption of a sector that has been conspicuous by its absence these past few years. 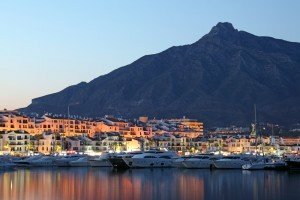 The strong showing of tourism and real estate – Marbella’s key sectors – has had its effect on the rest of the economy. Business activity has risen, bolstering all-important factors such as business confidence, investment, new ventures and employment. The area still has a long way to go, but it has the look and feel of a town that is back on the way up. 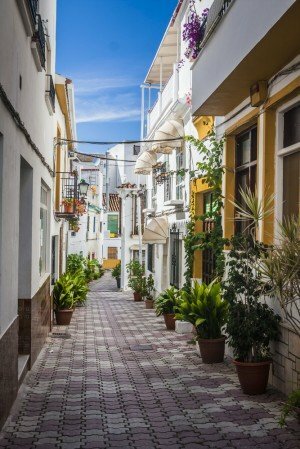 The public sector is playing its part through investment in new infrastructure and beautification projects, though as René Zimmer emphasises this should only be the beginning of an ongoing drive to keep making Marbella better and more beautiful. The banks are still not lending much, domestic demand is anaemic and there are signs that the Spanish banks may be forced to release a larger share of their unsold properties, but fortunately for us these factors don’t affect Marbella too much as it has limited bank repossession stock and a property market dominated by foreign buyers of whom the majority do not require financing. Moreover, it is a clientele that is more geographically diversified than ever, for whom Marbella represents both an attractive investment and a preferred lifestyle destination. In addition to private buyers and groups of investors, institutional investors are now also increasingly keen on Spain. When JP Morgan Chase published a report early in 2013 stating that the country was a hot tip for investors, many found it hard to imagine, but voilà – foreign investment in Spanish real estate grew from €433 million in 2012 to €5.2 billion last year. Spanish property now represented 37 per cent of all inward investment, up from seven per cent the year before. Suddenly the funds are snapping up real estate across the length and breadth of Spain, which in itself is not just an indication of low price opportunities, but also a declaration of renewed confidence in the nation’s economy. And indeed, the national indicators are up. Spain emerged from recession last summer, and JP Morgan Chase forecasts one per cent growth for this year, signalling a turnaround and gradual return to normalised growth. Exports have been a vital factor in this regard, not only in reducing the trade deficit significantly (by 52 per cent compared with 2012), but also showing a renewed competitiveness. The successful exporters are leading the way, strengthening the economy and reducing its dependency on local consumption and construction. Amid all the talk about Golden Visas and new holiday rental regulation, it is the improved financial and economic position of Spain – and the European Union as a whole – that will ultimately underwrite our own recovery and ensure its robustness. Although challenges may still lie ahead, we have every reason to believe that this is indeed the beginning of a new and very welcome growth cycle that may see out the decade. This entry was posted on Tuesday, April 15th, 2014 at 4:51 pm	and is filed under Business and technology, Freelance Writing, Property. You can follow any responses to this entry through the RSS 2.0 feed. Both comments and pings are currently closed.